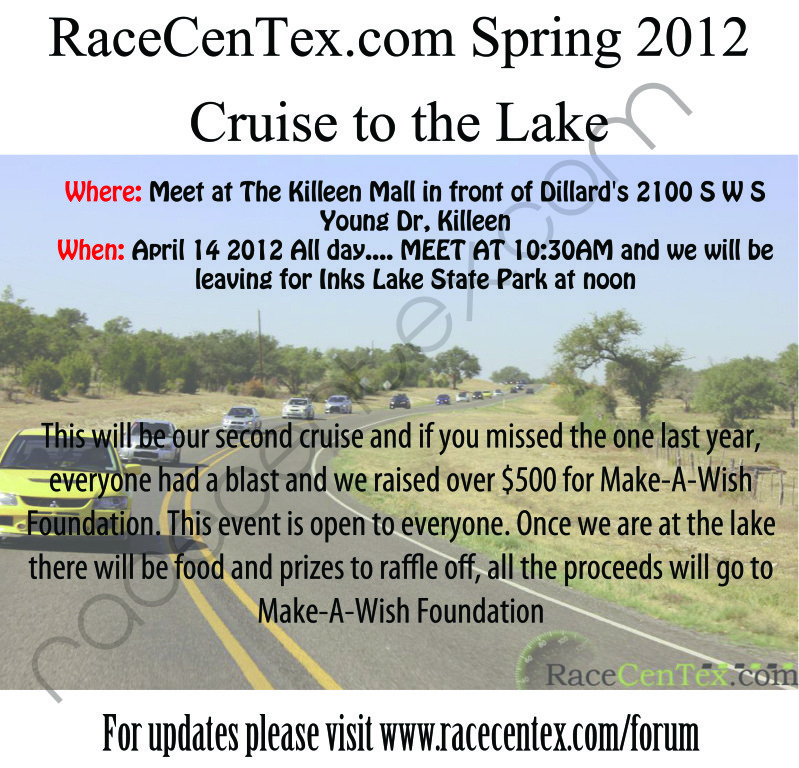 We will be grilling once we are at the lake and also be raffling of prizes. All proceeds will go to Make-A-Wish Foundation. If you would like to Donate anything weather it is prizes, food, or money please contact me with your donation and I will add you to out sponsor list. This year I was not able to get us into the park for free so there will be a $5 charge per person to enter the park. I do have us a pavilion reserved with plenty of parking. The water levels should be high enough this year so if anyone wants to swim feel free. I do want to stress that is not a race to the finish and this is a FAMILY friendly event I want everyone to have a good time. Hope to see everyone out the this Saturday for the cruise. June 16th Saturday Cayuga TMP track event, 5 - 9pm! 2012 9th Touge.ca event!! April 22nd Sunday Mosport DDT lapping event 1-5pm, 2nd Touge.ca event of 20+ 2012!! !